Fennel's botanical name is Foeniculum vulgare, and it is a perennial herb native to the Mediterranean region. Fennel has long been used for both culinary and medicinal purposes. Research has elucidated the active constituents of fennel, which give it its healthful and healing properties. As with any remedy, consult a qualified health care professional before taking fennel capsules. Fennel essential oil was found to have antibacterial properties against a bacteria known as Acinetobacter baumannii, which has developed resistance to most antibiotics, according to a study published in the "Pakistan Journal of Biological Sciences." The researchers suggest that fennel oil may have a potential role in the control of antibiotic-resistant bacteria. Fennel, along with several other herbs including cumin, showed antifungal activity against Candida albicans, according to a study published in the "Indian Journal of Dental Research." The researchers suggested fennel as a viable, inexpensive, easily attainable alternative or additional remedy to pharmaceutical products in the treatment of fungal infections. Fennel tea caused significant reduction in blood pressure, according to a study published in the "Journal of Ethnopharmacology." Additionally, the researchers reported that the reduction in blood pressure occurred with no affect to the heart rate or respiratory rate. In a study on antioxidant activity, fennel oil was found to have no greater than 50 percent effectiveness, however, fennel oil was effective at inhibiting 5-lipoxygenase, an enzyme that leads to oxidation and inflammation. The study, published in "Natural Products Communications," also reported a relatively low antimicrobial activity of fennel. Fennel aromatic compounds had an arousal effect on the sympathetic portion of the central nervous system, which increases heart rate and blood pressure, according to a study published in the "Japanese Journal of Pharmacology." A 1.5- to 2.5-fold increase was observed, as measured by increases in systolic blood pressure. 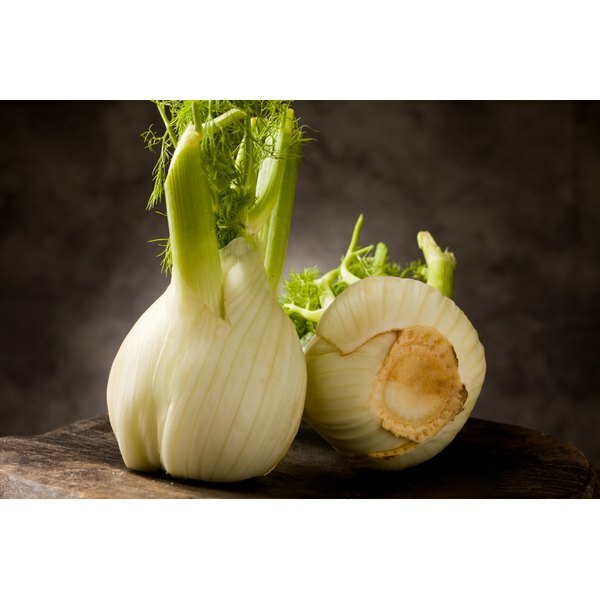 Some fennel products contain a naturally occurring cancer-causing substance known as estragole. A study published in "Food Chemistry and Toxicology" evaluated the estragole content of a variety of commercially available fennel teas. Levels varied considerably, and were as high as 2,958 mcg/L in the tested samples. Because the maximum recommended safe exposure for adults is 10mcg/kg body weight per day, and some products are meant for infant consumption, the researchers suggest that a process to reduce the level of estragole should be applied. Natural Product Communications: Foeniculum Vulgare Essential Oils: Chemical Composition, Antioxidant and Antimicrobial Activities.